Did you know that the Senate held hearings December 9 on the outrageous, overnight price increases we've seen in recent months on certain pharmaceutical drugs? Yes, yes, the Senators talked a good game. They went after Martin Shkreli--pictured above, who this week was unmasked as the "mystery buyer" who plunked down $2 million to purchase the only copy that will ever be produced of the new Wu-Tang Clan album. He's also the guy whose company bought a 60-year-old drug and jacked up the per pill price from the cost of a movie ticket to $750. The senators also criticized Valeant, a company best known for having increased the cost of two heart drugs by 212 percent and 525 percent, respectively. Senators heard from a pediatrician, Dr. David Kimberlin of the University of Alabama, Birmingham, who cares for newborns suffering from toxoplasmosis--an ailment that can result in loss of vision or brain damage. Prior to Mr. Shkreli's decision to, er, adjust the price of Daraprim, it cost approximately $1,200 to treat an infant for toxoplasmosis, a treatment that lasts twelve months. What is the cost now? "No less than $69,000," according to Dr. Kimberlin. Additionally, in more than 30 instances, physicians had serious problems even getting their hands on Daraprim as a result of the changes implemented by Mr. Shkreli's company. "Babies' lives literally hang in the balance here," Kimblerlin added. University of Utah Health Care Director Erin Fox explained the impact of the aforementioned Valeant price hikes: "If we continued to purchase the same amount of each drug, it would cost our organization just over $1.6 million more for isoproterenol and approximately $290,000 more for nitroprusside compared to what we paid the previous year." That's just one hospital, and only two drugs. Democrats had more productive things to say than Republicans during the Senate hearings. Missouri Democratic Sen. Claire McKaskill identified the problem as one of avarice: "If this is just greed, we have a duty to figure out how to protect patients who need these medicines." She continued: "This is a market failure, and when there is a market failure the government has a role in addressing it." Republicans, on the other hand, prioritized defending drug companies. Maine Sen. Susan Collins made sure to emphasize that the problem is one of a few bad apples that shouldn't be allowed to tarnish a whole industry. "As one industry expert I recently spoke with put it, 'these companies are to ethical pharmaceutical companies as a loan shark is to a bank,'" she said. North Carolina Sen. Thom Tillis --who just this summer demonstrated that he stands squarely in the pocket of the pharmaceutical industry--knows where his bread is buttered, offering, "I don't believe we should cast all pharmaceutical companies in the same light." Overall, Republicans received 58 percent of the industry's campaign contributions in the past two federal election cycles, compared to 42 percent for Democrats. Perhaps more importantly, big pharma spent seven times as much on lobbying as on direct contributions to politicians, well over $200 million annually in recent years. 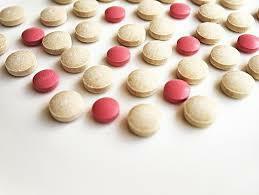 Allow Americans to import drugs from abroad - with careful protections for safety and quality. Allow individuals, pharmacists, and wholesalers to import prescription drugs from licensed Canadian pharmacies. Close the Medicare Part D donut hole for brand and generic drugs by 2017, three years earlier than under current law. Prohibit deals that keep generic drugs off the market, i.e., anti-competitive deals - "pay-for-delay" deals - between brand and generic drug makers. Terminate exclusivity--a government-awarded monopoly period--from a drug company convicted of fraud. Require drug companies to publicly report information that affects drug pricing. In September, Sanders introduced legislation (co-sponsored with Maryland Rep. Elijah Cummings) that "authorizes the Secretary of Health and Human Services to negotiate drug prices with pharmaceutical companies to bring down costs for Medicare drug benefits. The bill also includes tougher penalties for drug companies that commit fraud and bans the practice of brand name drugmakers paying competitors to keep lower-priced generic substitutes off the market. The bill also lowers barriers to the importation of lower-cost drugs from Canada." I encourage all of you to read Hillary's and Bernie's plans, as there are far more details on their respective websites than I've included here. Anyone who would deny the need for serious reforms on drug pricing is either an industry shill or someone who would blindly follow "free-market" ideology right off a cliff. In order for the market to work properly, there must be a functioning relationship between price, supply, competition, and demand. In such a market, when a company tries to charge too much for the golf clubs it sells, consumers can simply buy similar products from another company that charges less. If one company makes the absolute best golf clubs and charges more for them, people can decide whether the benefit is worth the added cost, and choose accordingly. This works for most products, which is why regulating prices is not necessary most of the time. What we are seeing with these ridiculous increases in certain pharmaceutical drugs is clear evidence that, at least in certain pockets, the market is not functioning properly. When a drug has no competition, there is no ability for the consumer to choose another product. Additionally, when one's health is at stake, the option to not buy any of the available products does not exist. If one cannot afford any golf clubs, one can just not play frickin' golf. The demand for a product that will save one's life, on the other hand, is infinite. It's important to note that even people with health insurance coverage may well be unable to get necessary drugs when companies implement these kinds of price hikes. I'm not a drug policy expert, so I'll leave it to those who are to come up with the specifics. The goal, however, is clear. We cannot allow a corporation to have all the leverage, while the consumer has none. That's why government action is necessary. Only government can act on behalf of the people as a whole--can promote the common good against private actors whose interests run counter to it, and who wield such a disproportionate amount of power in a given arena that they can overcome any pushback from citizens acting on their own. The Senate has held hearings. That and five bucks gets us a cup of coffee. What we need now is smart, tough, and comprehensive action by our government, on this and a whole host of issues. What we need to do is get organized, get involved, and get progressives in power. Now. Cross-posted at Daily Kos. Links are at original.